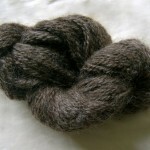 We offer a limited selection of handspun yarns, and millspun Fleecewood Leicester yarn. 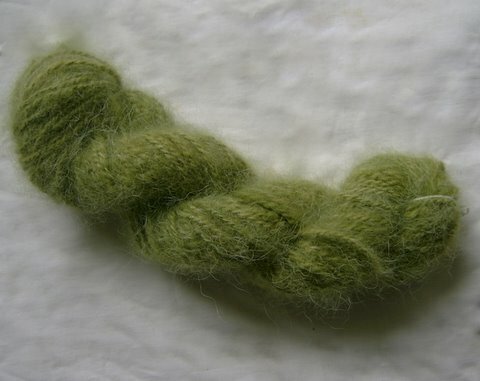 All yarns are a 2 ply yarn unless stated otherwise. 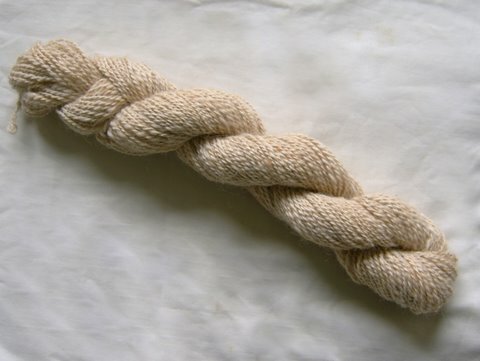 Wool weights can vary by a few grams due to changes in humidity. Weights given were measured at the time the yarn was offered for sale. 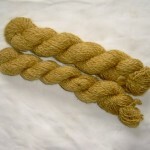 Natural colour and natural dyed wools are not light fast and colour changes should be expected over time. 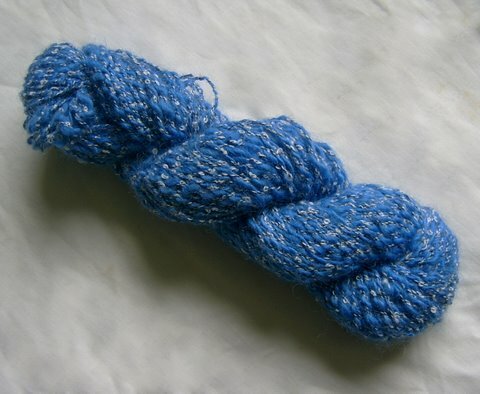 Other dyed wools are colour fast, unless overdyed natural colour. 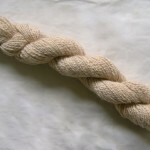 Yarn thickness may vary, especially in handspun yarn, so the thickness given is approximate only. Check the photo for an indication of variation. We also undertake commission hand spinning. Please email us with your enquiry. 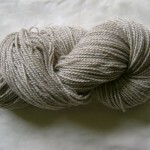 All yarns is sold subject to our Retail Sale Terms and Conditions. By placing an order you are agreeing to these terms. Pale moorit (natural colour) Fleecewood Leicester. 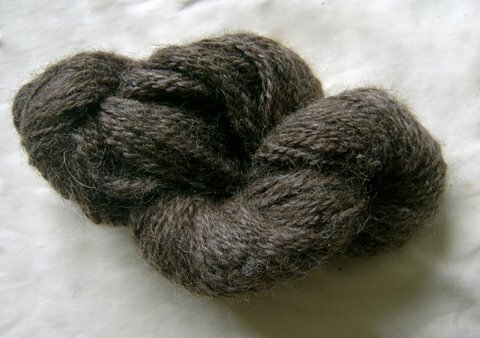 Dark grey English Leicester (natural colour). 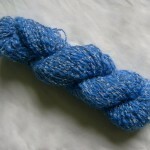 Bright blue Romney plied with synthetic white/black boucle. 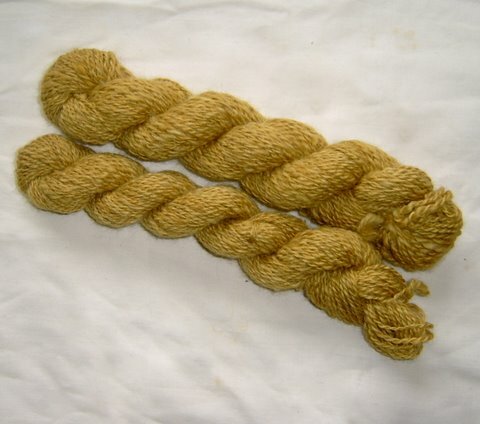 Honey gold English Leicester, natural dyed using onion skins. 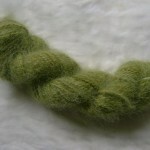 Olive green, Samoyed dog fibre (lovely, soft and fuzzy). 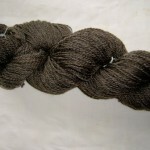 Unfortunately, the millspun yarns are currently out of stock. Hope to have them back in stock in 2-4 months. 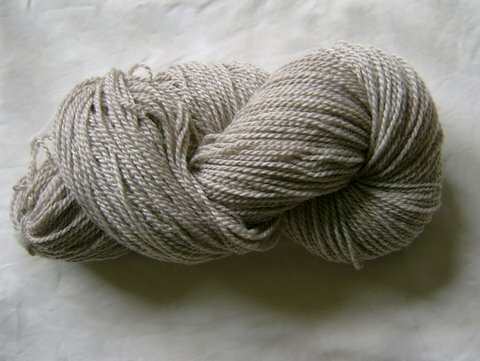 Pale grey (natural colour) Fleecewood Leicester semi-worsted. 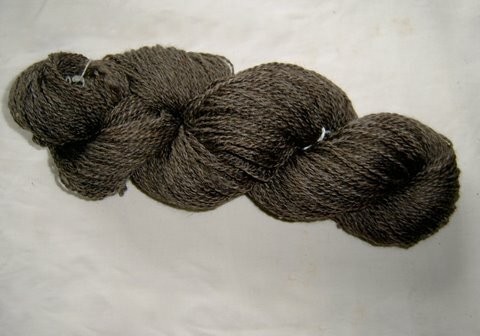 Dark grey (natural colour) Fleecewood Leicester semi-worsted. We also undertake commission hand spinning. Please email us with what you’d like. We have oddments from the Ashford range of Tekapo and McKenzie yarns in stock, and are happy to order anything from these ranges for you. Please email us for more information.